Believe it or not, it is finally spring time! Pittsburgh has seen some glimmers of warmer weather in between snow and rain in the last few weeks. Hopefully all the cold weather is behind us, because I'm ready for hot weather, shorts, and iced drinks. 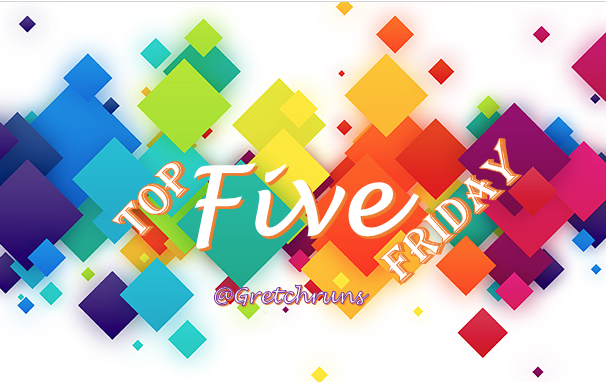 Today, for the DC girls (Mar, Cynthia and Courtney) Friday linkup, I'll be talking about my five favorite spring foods and drinks. I mentioned last week that I love spring for the lighter, brighter food, so here's what I'll be eating in the coming months! There's nothing better than fresh fruit on a beautiful day. I love to mix a few varieties together for an easy fruit salad, or blend it with some ice and coconut water for a delicious smoothie! In the spring, some of my favorite fruits come in season- mango, berries and pineapple. This recipe sounds perfect- I love the addition of basil! This chilled soup has always been a favorite of mine, but I never tried to make it myself until last year. I found some recipes last year from NYTimes and have been obsessed with trying different flavors. I love to order this from restaurants as well. Gazpacho + chopped salad = perfection on a warm day. I love salmon pretty much any way I can have it- baked, poached, smoked, in a sushi roll, in a salad, you get the idea. My favorite (and easiest) way to cook it is butter poached and topped with Trader Joe's Corn and Chili Tomato-less chili on a bed of rice and arugula. I might also have to try out this recipe because it looks perfect for a light spring dish! My all-time favorite alcoholic beverage is the mint mojito. I stink at making them myself, but I always have to order them if they're on menus! 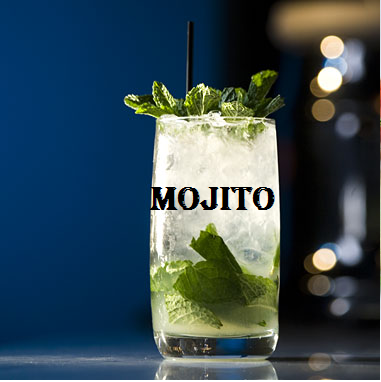 I love trying other versions and flavors of the classic mojito, too! There's something so simple and fresh about these that I can't get enough of. If a mojito is my all-time favorite drink, this is my newest obsession! 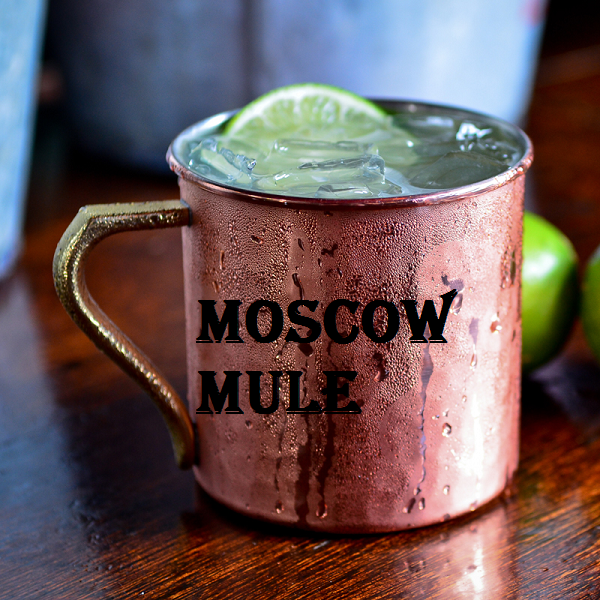 The moscow mule is an old-time favorite drink that's become popular in the last year. I tried it for the first time at a Christmas party over a year ago, and fell in love with the gingery bite that you get! Since then, I'll always order one if it's on the menu. On a trip to Denver, we even found a restaurant that specialized in different flavors of mules, and it was amazing! I could have stayed there all day taste-testing all of them! I have to admit that I'm happy about who was eliminated (mostly because it was down to Rayvon, Adanna and Maddie, and I would be so sad if he was cut!) and loved the throwback songs! Even though I was born in the 90's, I still listen to and love a lot of older songs (hello, classical is my favorite genre!). Loved this week's theme of "My Jam Monday"! Everyone seemed so much more relaxed and happy. My favorites were Nastia (so beautiful and smooth), Patti (tons of fun and she can move!) and Redfoo (too bad he didn't dance like that last week! Such a shame). Noah's girlfriend coming to surprise him was definitely the highlight of the show, especially seeing her reaction to Nastia's routine! She couldn't pick her jaw up from the ground! I haven't watched this weeks episode yet (no cable!) but this season has been excellent! All the issues they deal with are current events and are told in a logical, clear way. I think the show is a lot different from its first season, but I really like that. I especially like that the camera doesn't constantly shoot through windows and mirrors...that always gave me a headache! This is the time I start to really get into the show. I love the Knockouts, because the singers pick their own song and they don't have to worry about harmonizing with a stranger that usually has a different style from them! Mia Z is a local girl and her performance blew me away! I think she could definitely be in the show a while. Meghan Linsey's performance was also incredible, even if she eliminated my early favorite, Travis. She is a super-talented powerhouse! I'm honestly a little behind on this show, but I haven't been that crazy about the twist for this season- white collar vs blue collar vs no collar. I went through a phase of watching older seasons with Dan a while ago, and the players were so much better back then! They were way more into game play and were always scheming every minute of the show. Now it seems like a popularity contest and everyone just acts like they're on vacation! Such a great, different song! Apparently this is the newest and hippest song around and I'm probably late to the party, but I like it! I absolutely love acoustic guitar, and this is such a beautiful version of a great song. I love Kelly and this is such a fun song for summer! I'm going to see her in concert and I hope she sings this! Lately, this song has gotten me through some rough times on runs! I absolutely love the beat and Sharkira is one of my favorite singers. What a powerful, beautiful song. I love how John Legend's smooth, beautiful voice is paired up with Common's rapping. I haven't seen Selma, but I do love this song. Also linking up with Clare, Jill, Heather and Katie. I'm also a huge fan of salmon, we have it once a week, sometimes grilled, sometimes baked. DWTS used to be a favorite show of mine and mom's, but I lost interest last year. We have started watching old episodes of Blue Bloods, and that is quite good. This season is pretty good! I hope they do another all star season soon..that was my favorite. I've never seen blue bloods so I'll have to watch it sometime! Oh no. You should have knocked on wood after writing that intro, because it's going to get COLD today and tomorrow (just in time for the JASR race...of course!). I love Mojitos but have never made them. My favorite one I've had out had strawberry and basil in it. I need to try making some at home! It's amazing!! I hope you try it and like it..it's super easy and quick! love mojitos / fruit / salmon and scandal! great list. have a great weekend! fun lists! I love salmon and a mojito is the best! My hubby make soups all winter long but I can't get him to try a cold one in the summer- must be mental! :) Have a great weekend! Haha maybe this year he'll try them out! They're really delicious and simple. 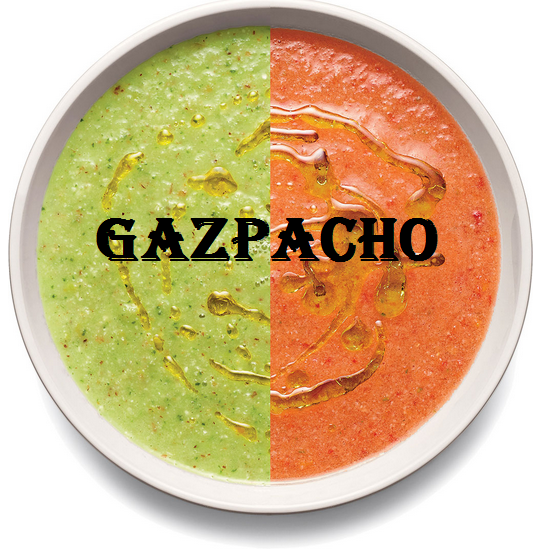 I don't really like hot soup that much, but I could eat gazpacho all the time! 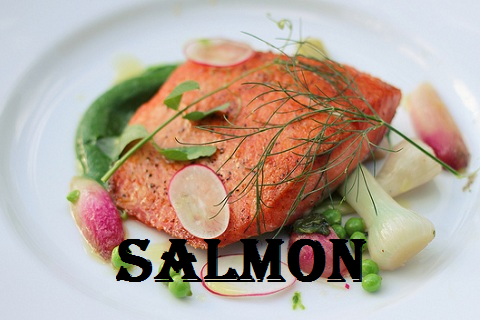 I love salmon and gazpacho, and rally love them both in the spring. I think I have to make some this weekend. I love fruit salad! I can't wait to start buying some more fresh fruit once it becomes more available this year. Me too! Can't wait for farmers markets to start up again! Another mojito lover! When done right, they are just so fantastic! I agree! I wish I could learn the secret to making them! 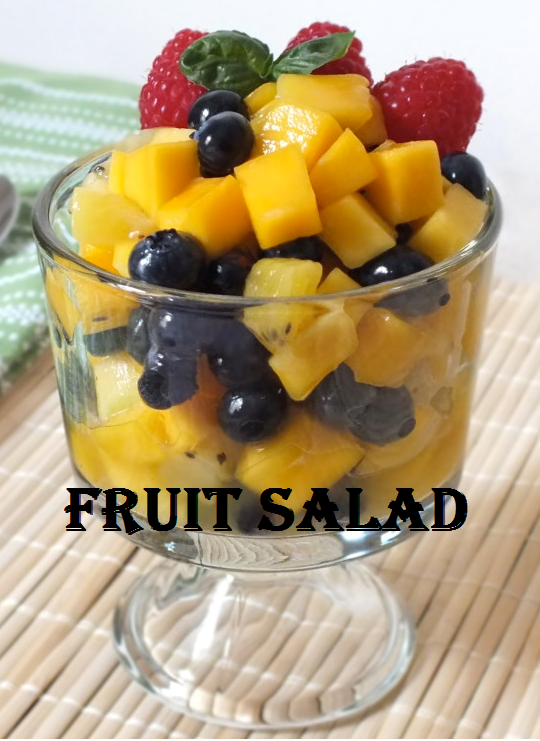 that fruit salad looks AMAZING! I am a huge fan of salmon and have it at least 2-3 times a week. Ah yes I'm in Pittsburgh too. The weather is so up and down here! I'm just glad it seems to be staying relatively warm this week :) And great list, I loove mint mojitos.